Words and language have one constant: change. And why should words be different? Don't like the weather? Wait an hour. It'll change. Mark Twain said that. Maybe. People keep changing their minds about that. Anyhow, change is just the way things work in the big wide world. Any number of words no longer mean what they once did; and many of these words have reversed their polarity and now mean the opposite of what they once did. As I have already noted, usage makes meaning. Unique once meant a singular thing. Nowadays, it often means a rarity. The word is in the process of change. Purists may gnash their teeth, but what will be will be. Let's have a look at words gone bad. Animosity is a case in point. Originally, this Latin derivative (animas: mind, courage, passion), originally meant animation or spirit. Over the centuries the meaning of animosity changed from full of spirit to hatred, enmity. Shakespeare, in his play The Winter's Tale, uses animosity in the sense of a disturbed mind or body. From this Elizabethan take on the word, only a short journey is necessary to reach a meaning of rather strong dislike. Other words have made similar jaunts. Awful once meant full of awe. No longer. Fizzle in middle English (1150-1500) was quiet flatulence. Probably imitative. Did you fizzle? Leave it to American college students, circa 1890, to extend the meaning to include failure. Wench comes from wenchel, a word from the 12th century that referred to children of either gender. It then wandered to female children, to female servants, and ended as a label for wanton women. How clue came to mean evidence that leads to a solution at least has a logical derivation. A cleowen in the 10th century referred to a ball of yarn. 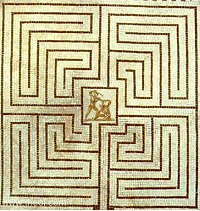 The Greek myth of Theseus has this young hero finding his way out of the Labyrinth by unwinding a clew of thread then following it out (after slaying the Minotaur). Easy step from unraveling a ball of yarn to unraveling a mystery. So if you don't care much for the meaning of a word, just wait a century. It'll change.